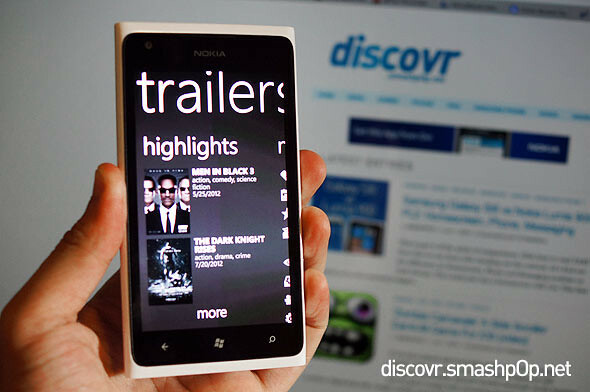 Nokia has been consistently producing their Lumia-exclusive apps recently and the latest addition to the Nokia Collection on the Marketplace is “Nokia Trailers”. As the name suggests, its an app that detects your location, shows you all trailers of movies currently playing including upcoming ones, lets you download and stream them amongst other features. 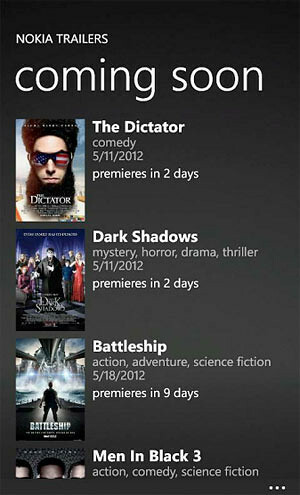 The app has a few sections: In theaters, Coming soon, Most popular and All movies. 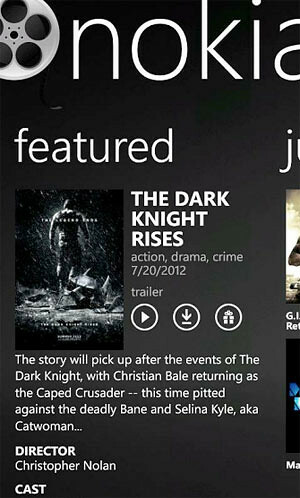 There are also a few more options in the menu: watchlist, downloads, movie theaters and settings. The app has notificatgions and live tile support. Which means you get to know the moment a new trailer is published. To download the app, just tap on the ‘search’ button on the botton right of your phone, tap on the ‘eye’ icon and point the camera to this QR code below.